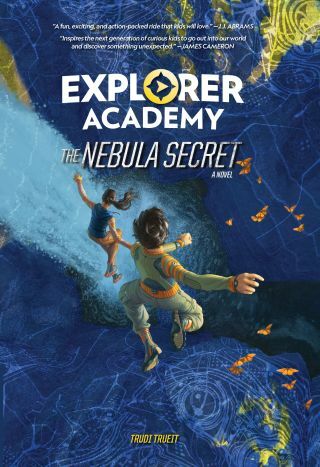 To celebrate the publication of "Explorer Academy: The Nebula Secret," National Geographic will be hosting a live, fictional Explorer Academy in New York. This all-ages event will allow participants to see what it's like to be a real explorer. NEW YORK — On Sept. 5, bring your kids to train like real-life explorers with National Geographic in New York. From the red, dusty Martian surface to the alien depths of the ocean, humans continue to explore our planet and beyond. In a one-day event, National Geographic will host an immersive and interactive fictional "Explorer Academy Recruitment Center," where guests of all ages can experience what it's like to be real-life explorers. At the Explorer Academy, guests will first receive a photo ID. Participants will then face a real snake and learn about why the animal is important to humans. This will be followed by a virtual-reality experience with monarch butterflies, an archaeological dig and a real drone flight. Guests will even get to conduct top-secret experiments and crack a coded message. The event won't be all pretend, however. Trueit will be in attendance, alongside National Geographic explorer Zoltan Takacs, whose adventures inspired a major plotline in the book series. His many tales of exploration are sure to inspire and inform eager participants. "We want kids to be inspired to explore and take on the mindset of explorers," Jennifer Emmett, National Geographic Kids' vice president for content, said in a statement. "Kids who grow up to be explorers are the next caretakers of our planet, so we need to empower the whole generation." The Explorer Academy Recruitment Center event will take place on Sept. 5 from 1 to 6 p.m. EDT at 23 West 24th St. in New York City.